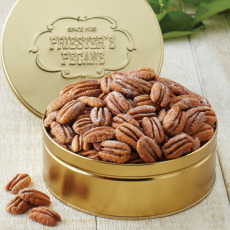 CLIENTS, EMPLOYEES & ASSOCIATES	will love delicious Pecan corporate gifts. 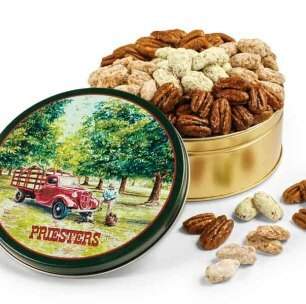 Priesters World Famous pecans, candies and baked goods make the perfect gift for business associates, customers, and employees. Our Corporate Gift Options , outlined below, can make your holiday ordering a snap. We'll handle it all for you. Just tell us your budget and your recipient list and we can handle the rest. Call Priester's Corporate Gifting friendly staff at 1-866-477-4736. Browse our Corporate Gift Selection to find ideas. We can customize for you! Contact our corporate gift staff to learn about all our custom corporate gifting options. Give Your Gift a Personal Touch! We're happy to enclose your business card or personalized greeting cards or letters with your gift as a complimentary service to you. We can even enclose other gift items in your Priester's gift if you choose. Order early to ensure there's enough time for personalizing your gifts. 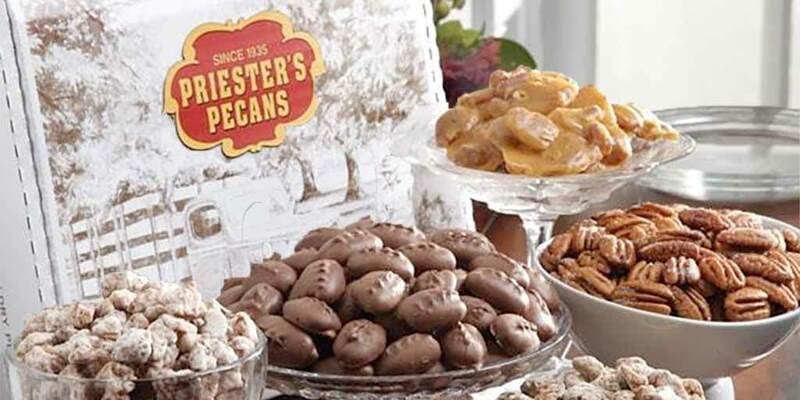 Priester's experienced Corporate Gift Staff will help you choose gifts that are perfect for all your clients. Choose from the items in the catalog or we can design an item just for you. We can even customize the gift tin for you. From custom tins, to custom stickers on standard tins, we have options to meet any timeline or budget. Order early for the most options. We have a great volume discount program in place for corporate orders. Please call for more information and our discount schedule at 1-866-477-4736 from 8am - 4:30pm CT Monday - Friday. Ask for the Corporate Gift Staff. Browse our selection of corporate gift products and place your order today. For a better checkout experience, we recommend breaking orders into a maximum 25 addresses per order. 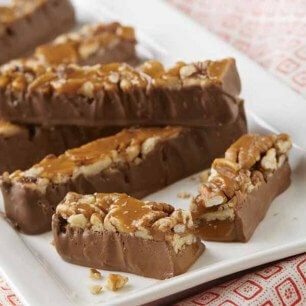 Or use our Multiple Address Gift List Spreadsheet to make your gift giving simple and quick! or by fax at 1-334-227-4294. We will be happy to enclose your personal message, your greeting or business cards with the package we ship. We can also create an enclosure card for you. As a special service to gift buyers, next year we will send you a list of the people you sent gifts to this year. In the future, this easy to use gift list form will make your holiday orders quicker than ever. We make ordering to your whole list simple and quick. Just download our Order Form here. Then fill it out and email it to Felisha: ftaylor at priesters dot com. You are also welcome to call our toll free line 1-866-477-4736, 24 hours a day 7 days a week, or fax your order to 1-334-227-4294.